Church of Santa Maria Antiqua. Reopened to the public in March 2016, the Church of Santa Maria Antiqua in Rome was discovered in 1900 within the Roman Forum. It’s an inestimable treasure, closed for restorations since 1980s. Built in the 6th century in the Roman Forum on the ruins of the Palace of Domitian, buried under rubble after an earthquake in 847, brought to light thanks to the 1900 excavations, the Church of Santa Maria Antiqua in Rome was closed to the public for 30 years. 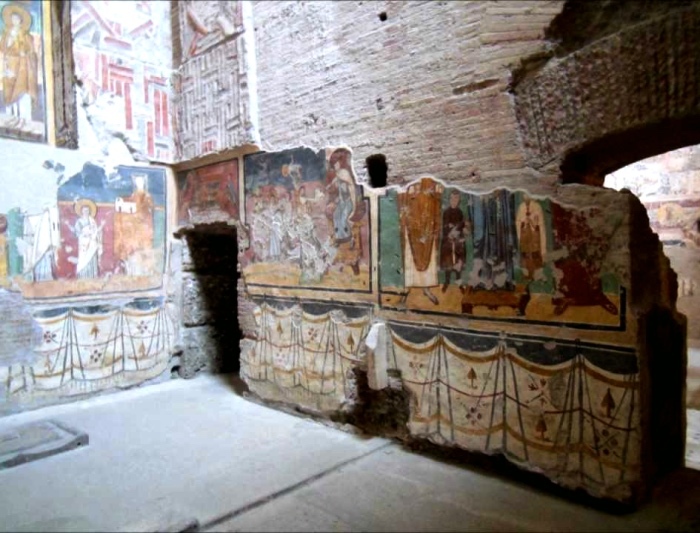 The Church contains a unique collection of wall paintings, one of the few artistic exemplars in the world of the development of Roman and Hellenistic-Byzantine figurative art. 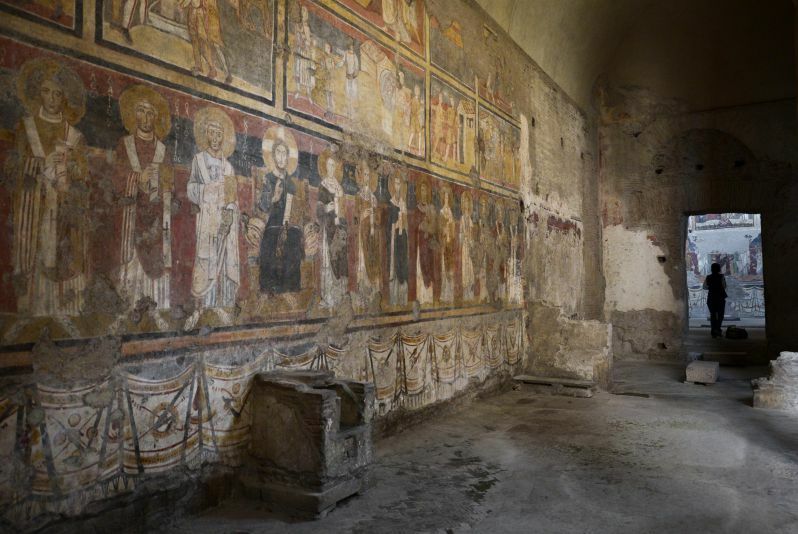 The Church hosts a lot of marvellous frescoes that defined it as “the Sistine Chapel of Imperial Forum”. The paintings cover a surface of about 250 square meters, and they are one of the few artistic exemplars in the world for the study on the development of early medieval and Byzantine art. They form one of the largest and most important collections of the pre-iconoclastic Roman and Byzantine art in the world. 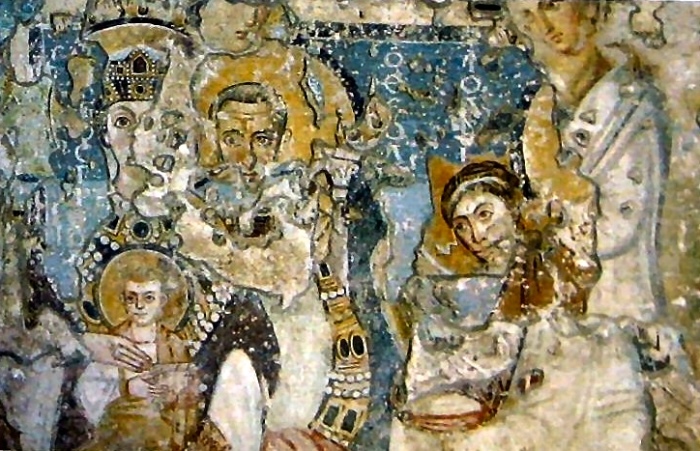 These frescoes date to a period of iconoclasm when, between the 8th– century and the 9th– century, in East most of the sacred figures in churches were destroyed. The earthquake in 847 hid under the rubble its treasure which is now still available to the public. The Church of Santa Maria Antiqua in Rome I dedicated a special tour organized in collaboration with Miramuseo, which allowed a group of blog readers to see this masterpiece. READ ALSO: Upcoming Events of the ART post Blog. interessante. si accede dall’interno del foro o da fuori? PRima domenica con i musei gratis lo ritenuto un po’ scellerata….troppa folla ,abbiamo dovuto fare tre lunghe file….prima per prendere i biglietti,altra fila per entrare con controlli ….giusti….attesa per poter iniziare la visita ….ottima guida nonostante un pubblico enorme……non ho ricevuto la vostra tessera. Purtroppo la prima domenica del mese offre il vantaggio di un ingresso con biglietto gratuito, ma le disposizioni di sicurezza adottate da Mibact a Roma possono creare qualche ritardo. I visited this church in May and was amazed the beauty and unique depictions of Christ in the Byzantine style. This church is a reminder of how connected Orthodox and Catholics really are in terms of our common roots. What a wonderful discovery in the heart of Rome. You saw her just when it was reopened after many years. 14 to 27. I read that the laser exhibit had been extended but can’t seem to find the info again. Do you have any info on this or can you suggest a link? The special exhibition will continue until October 30. However the Basilica does not close at the end of the exhibition. It remains open to the public.